Watching national news tonight…. all going ape-s#!+ over the hurricane heading for the east coast… followed by another one heading for Puerto Rico. Not a peep about the Hawaii hurricane. Are we chopped liver?? so they bought this Chinese-built “QJ’ before they were scrapped in China. Tuesday…. afternoon. I’ve got the Moody Blues already. difference between snowmen and snow-women? I reply, “Snowballs” and am now called a sexist. which we live today, and it is only getting worse. I think the safety of 5G networks is a legitimate question. A poll for the future. I wonder about the new 5G networks that are scheduled world-wide. Any thoughts here on that? BTW, got some more Eagles from eBay, now less than $375 per roll, incl shipping! Prayers for President and Country. I’m a huge tennis fan. Watched the match yesterday and Serena was just plain getting beat, she would’ve lost anyway. Her coach admitted giving her signals from the stands and justified it by saying “all coaches have been doing it during the tournament.” Serena of course denied being coached. She committed no less than 3 violations including breaking her racquet on the court. She had it coming. THE DEMOCRATS ARE FREAKING OUT OVER KAVANAUGH! trump has six and a quarter years left, and the democrats are about to lose several senate seats. 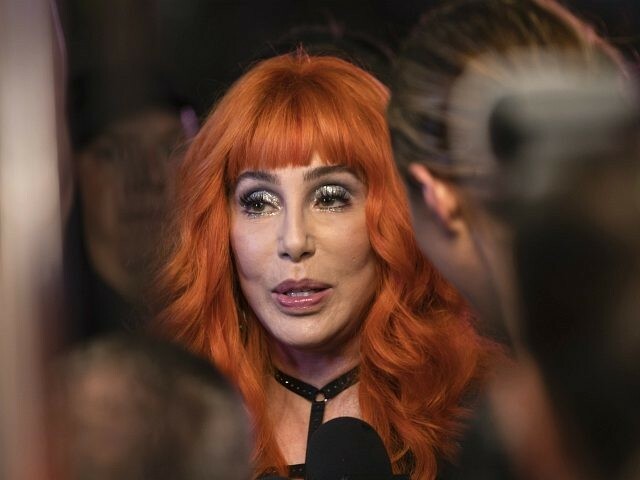 NO …CHER ….KAVanaugh is a Stabilizing force ,,just like Sonney was in you life …look in the mirror..your a train wreck ! 6-2, 6-4 sounds pretty decisive to me,”Your a Racist “wouldent wash so the next best thing was …..SEXIST … its getting old…you lost ,,,just go away gracefully..if you cant do that ,you were never good enough to start with…. The tennis legend’s accusations were leveled after she was penalized for three separate game violations during her 6-2, 6-4 loss to Naomi Osaka, who became the tournament’s first female Japanese champion. two days later, the horse came back with three wild mares he had gathered together, and they all jumped back over the fence into the farmer’s field. a few days later, the farmer’s son was trying to break one of the new mares to use as a saddle horse. the mare threw the son and he broke his leg. the next week the emperor’s army came through the village and took all the able bodied young men to be soldiers. I wasent making an argument,I have better things to do ..